From its use by Cleopatra as an aphrodisiac, to recent studies proving it to be a cancer suppressant, saffron plays a critical role in herbal medicines and has proven its efficacy in modern medicine through many clinical studies. Perhaps one of the more common medicinal uses for saffron is as an antidepressant. Use of saffron as an antidepressant dates back thousands of years. Evidence has been uncovered of its use in teas to cure melancholy as long ago as the 10th century BC. 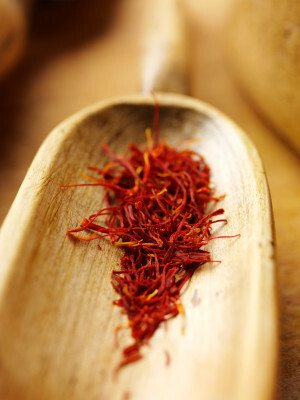 Saffron has analgesic properties and was put to use by Alexander the Great to aid in curing his battle wounds. Early Egyptians first discovered the power of saffron to aid with gastrointestinal disorders, and saffron is still used for digestive ailments today. Saffron is also used as a remedy for epileptic seizures, whooping cough and other violent coughing spells, and as a liver aid and heart medication. Pregnant women should avoid using saffron as there is possibility of miscarriage risk. Saffron has many wondrous healing properties and uses, making it a valuable addition to any home herbal collection. As with any remedy, take care not to overdose as saffron poisoning is possible!